High Pressure Laminate is commonly referred to as HPL and is manufactured under 1000kg per-square-meter of pressure pressing down on 6 to 8 layers of kraft paper bonded with phenolic resin glue, then topped by a polymer facing. 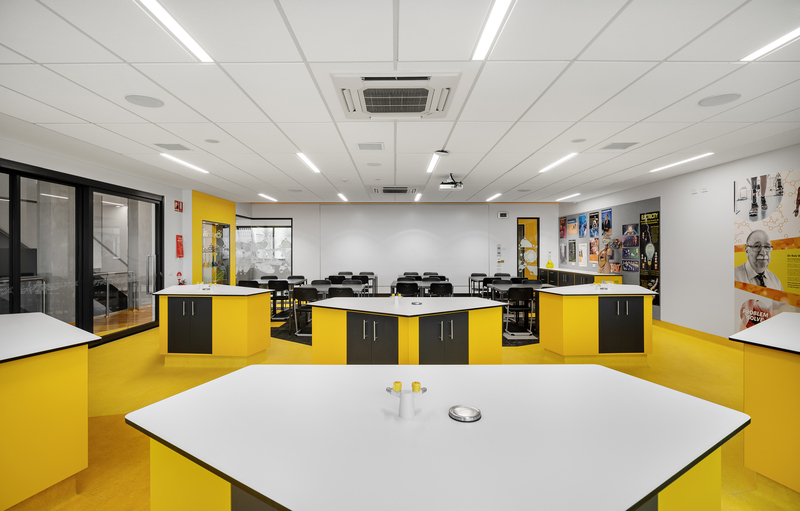 Applications include bench-tops, joinery, wall panelling, lockers, tables where scuff resistance is prominent. When you purchase HPL sheet, it is generally not attached to a substrate such as MDF or craftwood. Attaching it to a timber substrate is an entirely separate process which is commonly referred to as “laying up the laminate”. It should be attached to a dense substrate (base wood layer) for best results. 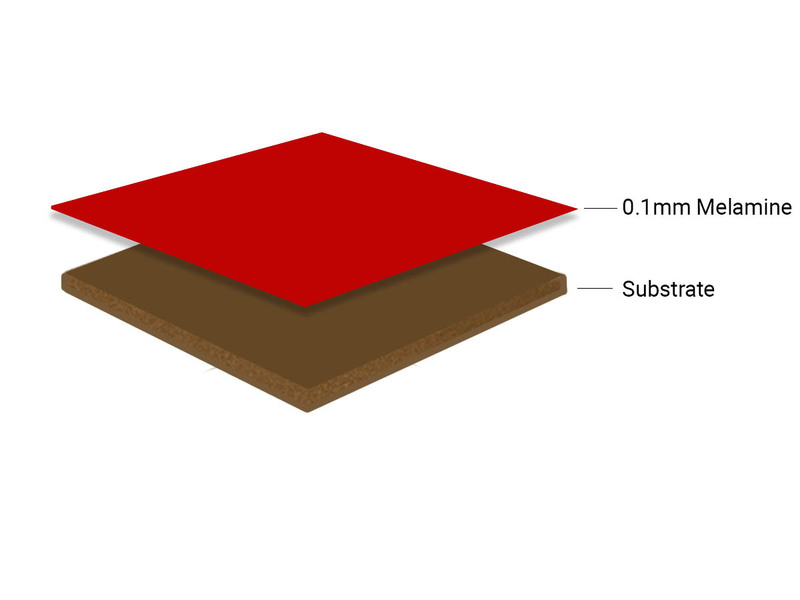 Surface Squared uses moisture resistant Medium Density Fiberboard (MDF) as the substrate and ABET High-Pressure Laminates as the decorative surface. This results in the best possible finish with maximum durability. High Pressure Laminate in 860 Sei Yellow and 1830 Sei Grey from Abet Laminati. Low Pressure Laminate (LPL) also known as pre-finished board and commonly referred to as melamine is manufactured at 200 -350kg -per-square-meter of pressure. 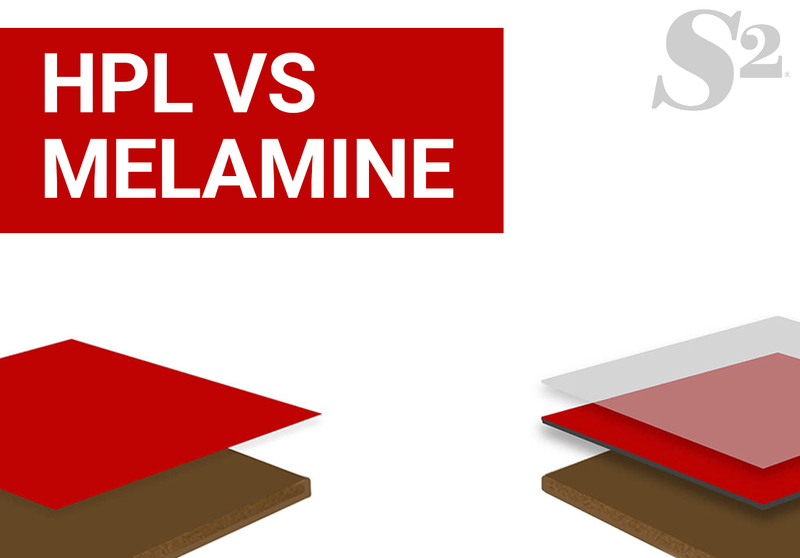 LPL is a thin single melamine paper bonded to a substrate board normally consisting of craft wood or particleboard. It’s important to note that “melamine” is the resin used to impregnate the paper covering and is not the resulting wood product. When you purchase melamine, it is generally attached to particleboard or craft wood which has voids in the end grain.